Russian aluminum giant UC Rusal recently disclosed some of its planned business strategy through 2020, which does not include growth of production capacities, even though several new bauxite mining and alumina production projects will be launched in Russia and abroad. Some older mines will be closed as the company seeks to curtail inefficient production. Profitability should improve as Rusal attempts to shift toward a program where it becomes more self-sufficient in obtaining alumina and bauxite. Oleg Deripaska, owner, Rusal, says the company will cut smelting capacity and focus on efficiency. This year, Rusal will reduce smelting capacity, cutting aluminum production by 300,000 metric tons (mt) to 3.5 million mt. 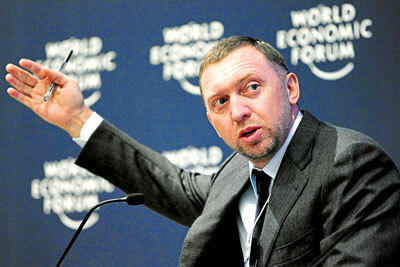 This figure should remain stable for the next couple of years, according to the company’s owner, Oleg Deripaska. However, in the medium term, its sales structure may change. In 2015, Rusal plans to supply 800,000 mt to the domestic market and 2.7 million mt for export. In 2020, this should change to 2 million mt and 1.6 million mt, respectively, which will reflect a 2.5-fold increase in domestic sales and a 42% decline in exports. 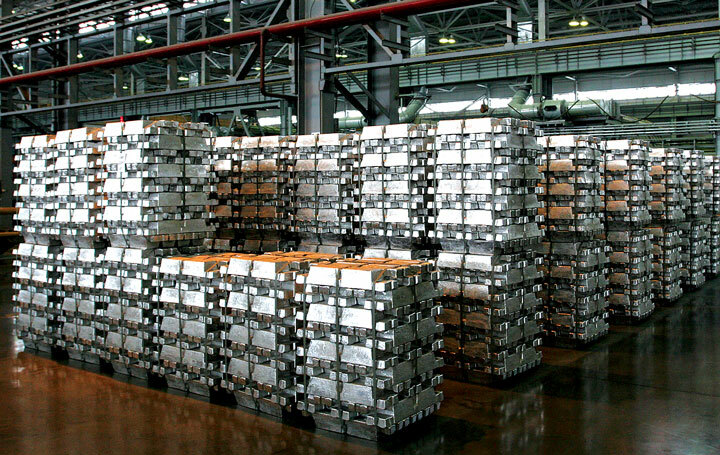 In 2013, responding to market conditions, Rusal curtailed more than 647,000 mt of aluminum production. Deripaska explained that the idled capacity can be returned to service when the price for aluminum again reaches $2,400/mt (or more than $1.09/lb). During the second quarter of 2015, however, aluminum averaged $1,800/mt on the London Metal Exchange (LME), compared with $1,700/mt last year. Russian demand for aluminum decreased 30% over the last two decades to 1.9 million mt. However, Rusal’s forecast says that by 2020 it could return to 2.4 million mt. Today, Russian demand per capita is estimated at 6 kg, compared with 25 kg in Germany. In addition to possibly replacing aluminum imports, the increase in domestic demand will have to come from somewhere. The tight connection between Deripaska and Russian President Vladimir Putin could ensure state support. 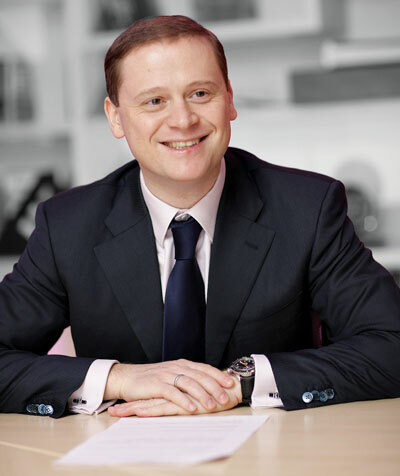 Rusal CEO Vladislav Soloviev is ‘cautiously optimistic’ domestic aluminum demand will rebound. Given all the market dislocation, Rusal has not moved away from new projects related to bauxite mining and alumina production. In April, the company launched the Cheremoukhovskaya-Gloubokaya mine in the North Urals Bauxite business unit (SUBR). At 1,550 m, it is Russia’s deepest mine, and ranks among the five deepest mines in the world. Total investment in the mine to date is more than RUB 5.8 billion ($87.9 million). Cheremoukhovskaya-Gloubokaya will access new bauxite deposits, and thanks to the optimization of ore transportation and extraction processes, will cut bauxite cash costs at SUBR by up to 15%. Active construction of the mine commenced in 2010. The re- serves, which are open at depth, are estimated at 42 million mt. 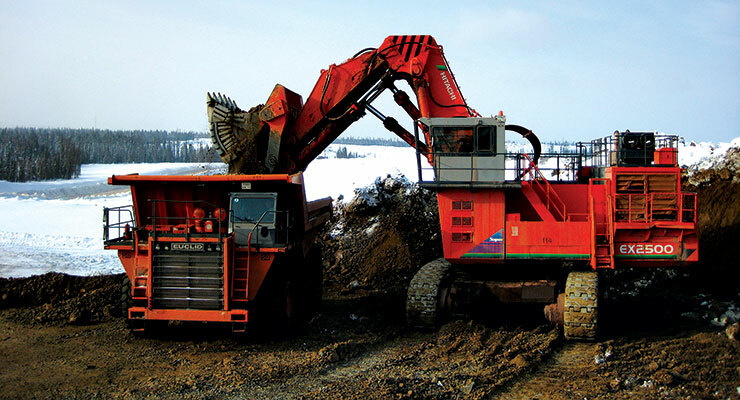 A hydraulic excavator loads bauxite into a haul truck at a North Urals mining operation. “For the first time in 10 years, a new mine has opened in the North Urals. We plan to produce up to 1.2 million mt/y of bauxite at Cheremoukhovskaya-Gloubokaya. This will ensure steady development of Severouralsk and nearby Krasnoturyinsk, where the Bogoslovsky aluminium smelter is located and where 95% of the bauxite mined is shipped,” said Vladislav Soloviev, CEO, Rusal. Development of the Cheremoukhovskaya-Gloubokaya mine will ensure stable operations at SUBR for the long-term and extend its life by at least 40 years. Cheremoukhovskaya-Gloubokaya is unique in that it is the only mine at SUBR with three hoists working at one headframe: a man lift, a rock hoist and an ore hoist. 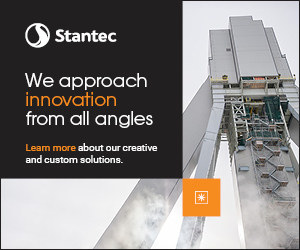 The second stage of the project is expected to begin in 2016, which will include a mine elevator with two skips for bauxite dispatch, intra-railways, ore lines and more. The third startup complex, which is expected to launch in 2017, will include a two-level hoisting system with a capacity of 40 people per level, and a fan for the southern ventilation shaft. Total investment in the second and third startup complexes will be more than RUB 1.5 billion ($23 million). 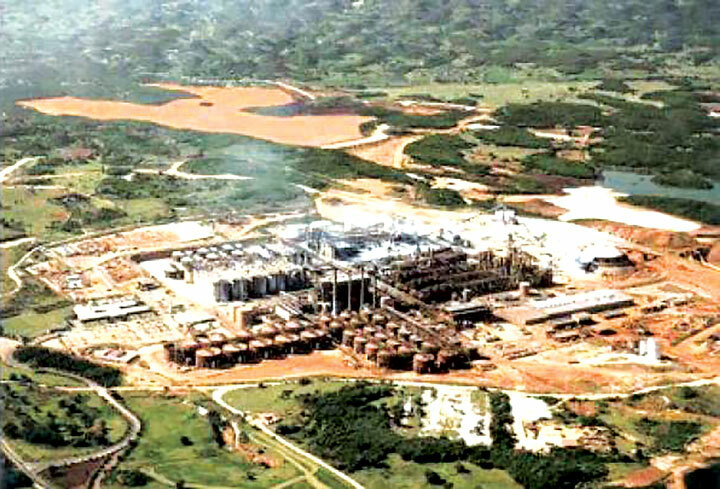 Disk filters recover alumina from bauxite. The company also initiated a program to increase alumina production at the Urals Aluminum Smelter (UAZ) to 900,000 mt from 770,000 mt by the end of 2016. The project includes construction of a new autoclave battery, installation of two new precipitators and other large-scale industrial equipment. Total investment in the project is expected to be more than $23 million. “The expansion of production at UAZ will use the most modern technologies. This will result in not only an increase in output but also, thanks to a higher energy efficiency, lower production costs,” said Yakov Itskov, who heads Rusal’s Alumina Division, which also oversees bauxite mining. In July, Rusal announced plans to change production at its Achinsk alumina refinery (AAR) to support the Krasnoyarsk aluminum smelter (KrAZ). This allows the company to reduce its logistics costs and also to ensure that 45% of KrAZ’s annual consumption of alumina, which amounts to 2 million mt/y, will be supplied by AAR. In 2015, AAR is planning to supply 745,000 mt of alumina to KrAZ, which amounts to 32% of the smelter’s alumina consumption. In 2016, that will will increase to 752,000 mt, and further growth is expected. Rusal may invest $400 million in the Alpart joint venture in Jamaica. To increase KrAZ’s consumption of alumina from AAR, the refinery has started work to alter the physical properties of the alumina it produces. At present, alumina from AAR is only used in certain pot types at KrAZ. “The smelter and the refinery were built in the 1960s as a single complex. Considering the geographical proximity of these two sites, we want to increase the consumption of alumina from Achinsk at KrAZ as we realize the economic and strategic benefits of this project, as [it offers] a short transport leg and good price. 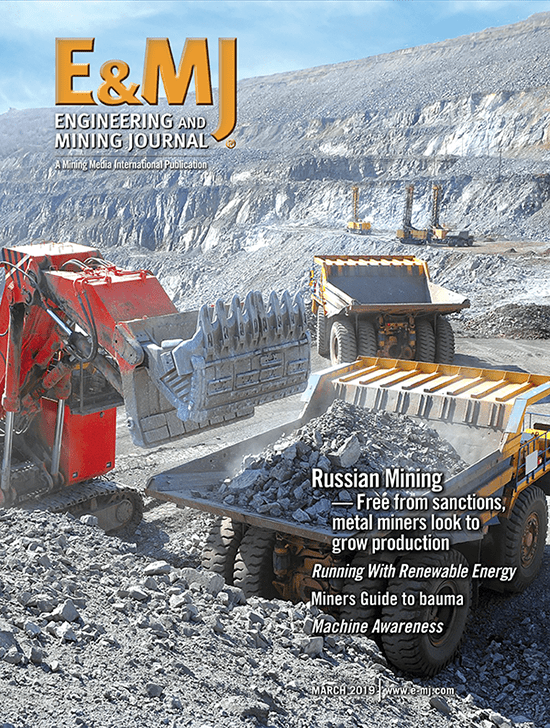 However, before KrAZ can consume all alumina produced at AAR, we need to modify the physical properties of crystals and to improve their quality,” said Evgeny Nikitin, director of aluminum business at RUSAL. AAR is the largest producer of alumina in Russia. In 2014, the refinery produced 891,000 mt of alumina. Its key consumers are the Krasnoyarsk, Bratsk and Irkutsk aluminum smelters. KrAZ currently sources alumina from AAR as well as the Nikolaev alumina refinery, which is located in Ukraine. Rusal also has issues related to its assets in Ukraine. In 2015, the country’s Supreme Court nationalized the Zaporozsky aluminum plant, which had been out of operation. According to Ukraine authorities, the deal for purchasing the plant violated the country’s laws. The overall loss for Rusal may reach $200 million. Rusal also operates the Nikolaev alumina refinery, and the situation there is tenuous, as the state sells gas and energy to the enterprise at excessively high prices. Rusal has threatened to take the nationalization of the Zaporozsky complex to an international court. Meanwhile, Ukraine is considering the nationalization of the Nikolaev complex. Rusal mines only half of the bauxite it needs in Russia, and the rest is supplied by its foreign assets in Guinea, Guyana and Jamaica. Some of these assets will remain a primary focus for the company, including the Dian-Dian deposit in Guinea where it plans to increase its capacity to 3 million mt/y of bauxite in 2016 and 1.2 million mt/y of alumina when it completes the construction of a new plant by 2017. 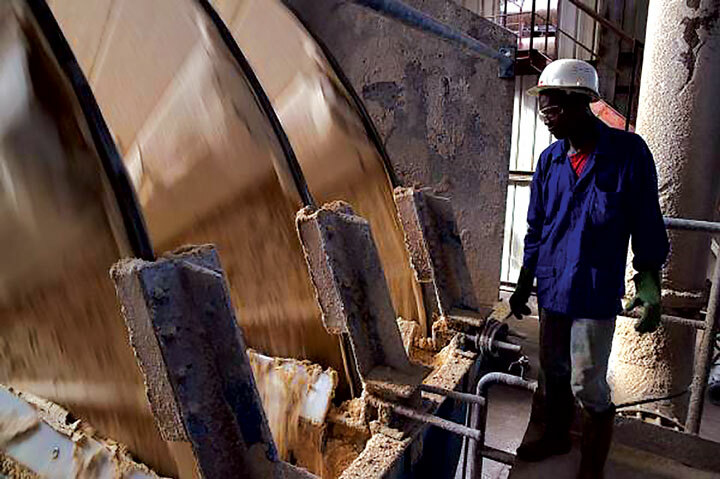 Rusal owns Compagnie des Bauxites de Kindia and Friguia Bauxite and Alumina Complex in Conakry. In June, Rusal signed a multiuser operations agreement on existing railway infrastructure in Boke province, Guinea, within the framework of Dian-Dian project. The agreement allows the transportation of bauxite, including that mined at Dian-Dian, using the existing railway infrastructure in Boke province and creates an environment for the further development of project transport infrastructure. Rusal holds exclusive development rights to Dian-Dian, the world’s largest bauxite resource with confirmed reserves of 564 million tons. The first stage of the Dian-Dian project involves the construction and development of a bauxite mine with an annual capacity of 3 million mt with the potential for a further increase of up to 6 million mt by 2016. The total investment for the first stage of the project will be more than $220 million. Earlier this year, Rusal commissioned mining operations at the Kurubuka-22 deposit, which is located in Guyana’s Region 10 in South America. Kurubuka-22 is estimated to contain 30 million mt of bauxite. Rusal’s total investment there is more than $25 million. Development at Kurubuka-22 began in 2013 with the construction of the mine, infrastructure development, building of access roads, barge loading facilities at the Berbice River and a plant that allows maintenance of a full production cycle from mining to dry bauxite barge loading. Logistics were optimized by reducing the transportation distance from the mine to a sea reloading point. Rusal has been operating in Guyana since 2004 and owns a 90% stake in the Bauxite Co. of Guyana (BCGI). The company also owns licenses to develop the Kwakwani and Bissaruni deposit groups in Guyana. Annual bauxite production capacity for BCGI is roughly 1.7 million mt, which is shipped to the Nikolaev refinery, but the company has studied the possibility of shipping to the Aughinish refinery in Ireland. 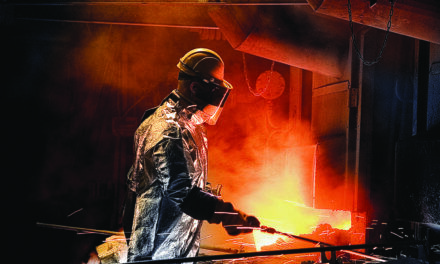 In Jamaica, Rusal may also invest $400 million in the Alpart joint venture, following the recently concluded agreement between the company and local authorities. As a result, in the near term, the company may slightly increase the volume of bauxite mining there to 5 million mt/y, and restore the production of alumina of 1.67 million mt/y, starting in December. Rusal is expected to not only invest in the modernization of these assets, but also to update the supporting infrastructure, including roads, terminal and construction of a 140-MW gas-turbine power plant. Rusal had no choice but to invest in Jamaica—the country promised to cancel the deal with the company if it failed to fulfill its obligation. Rusal also operates the West Indies Aluminum Co. (Windalco) in Jamaica. Windalco refines 1.2 million mt/y of alumina from 4 million mt/y of bauxite. Rusal’s recent moves could raise its self-sufficiency in bauxite from the current 80% to as high as 97% by 2017. At the end of last year, Rusal reported that it sold 3.5 million mt of aluminum (and aluminum alloys), compared with 3.8 million mt in 2013, a 6.9% decline. The company mined 12.1 million mt of bauxite and produced 7.3 million mt of alumina. Becoming more self-sufficient with raw materials improves its profitability, especially given the growth in bauxite prices. Within the next couple of years, Rusal may begin selling bauxite and alumina to new customers. 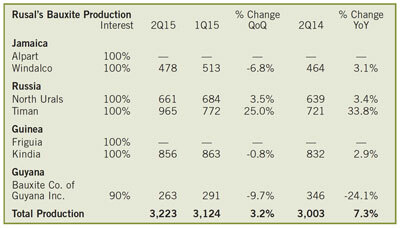 It sold 1.7 million mt of alumina in 2014 at an average price of $326/mt vs. $318/mt in 2013. The company acknowledged that all these plans may be revised depending on market conditions. Soloviev said the largest aluminum producers can benefit from growth in demand from new uses for aluminum and from growth of aluminum-consuming industries in emerging countries. However, for 2015, the situation will remain difficult. Rusal acknowledged that prices are mostly unpredictable. According to Soloviev, global demand is rising gradually, but recent data show that supplies are growing at the same or even quicker pace. Domestic demand within Russia declined for the first half of the year. Rusal sees growth in aluminum demand shrinking from 6.5% to 6% (58 million mt) due to weaker demand from Russia, Brazil and Asia. 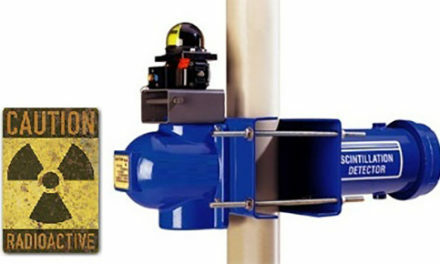 It plans to maintain capital investments at $600–$700 million/y, including $250 million to support existing operations. In the second quarter of 2015, the company generated a profit of $568 million, which was down from $721 million in the first quarter. Profits were affected by a decrease in LME prices and premiums as well as a strengthening of the Ruble against the dollar. This year, for the first time in seven years, it considered a dividend payout totaling $250 million.